LA psych masters show us who's boss on their fourth LP. 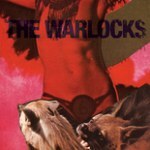 Introducing his 2004 interview with the Warlocks, PopMatters contributor Michael Christopher wrote, “Depending on who you talk to, the Warlocks either hearken back to the psychedelic-era, or are the future of rock and roll.” What further complicates this statement is the legacy of the Warlocks name: coincidence or no, it’s somehow appropriate that the Warlocks was an early name for two bands of notable historic importance, the Grateful Dead and the Velvet Underground. This is not to say the Warlocks sound particularly like either of these bands, or take overwhelming influence from them -- though there’s definitely more than a hint of the Velvets here, and also some of the Dead’s more psychedelic moments -- but rather that the Warlocks have large shoes to fill. That said, despite the fact that the Warlocks might not be the most heralded rock band in America, they definitely fill those shoes. Heavy Deavy Skull Lover finds the Warlocks plowing their soil yet again, walking familiar and welcome ground coming off of Surgery, 2005’s attempt at safe-grounded concision. Heavy Deavy is far from concise, and in that sense it’s all the truer to the Warlocks’s unbridled essence. To simplify the Warlocks as simply “psych” or “stoner” rock (it’s almost certainly not the latter, despite the fact that listening to them makes you feel high) simply does the band no justice. Part of the band’s brilliance is their inability to be packed into a box, and the proof is in the records. Whether you love or hate Surgery for what it is, that record marked a departure from what was expects of the Warlocks. Though Heavy Deavy might be a return to form, of sorts, it’s important to point out that it’s an informed return to form: like the writer learns much about the novel from the short story, and vice versa, the Warlocks -- helmed by founder Bobby Hecksher -- lead us through an interesting and wild trip that recalls, at various moments, My Bloody Valentine, Angelo Badalamenti (circa Twin Peaks), the Beatles, Spacemen-3, Sonic Youth, and contemporaries Dead Meadow, among countless others. The only notable complaint about this record is the strange occurrence of Hecksher’s vocals found so loud in the mix. Traditionally, his vocals have been buried amidst the layers of sound, but on a number of tracks, especially the opener “The Valley of Death”, Hecksher sounds as front-and-center as ever before. This, again, betrays that which is brilliant about the Warlocks by calling emphasis to Hecksher’s bleak lyrics. We don’t listen to the Warlocks to commiserate with the take ‘em-or-leave ‘em lyrics: we listen to the Warlocks to to get our faces rocked off by a sonic assault. The more weight the lyrics are allowed to hold, the more the Warlocks will be pigeonholed as a gloomy throwback band, and not as the musically complex army they are. (They might want to lean away from titles like Heavy Deavy Skull Lover, as well). But Heavy Deavy isn’t as doom-and-gloom as everyone’s seemed to take it, either. “So Paranoid” sounds like a stoned-giddy mash up of Spiritualized and Luna as much as anything. The reverb-and-static heavy guitars are sirens bellowing through the background, the song’s atmospheric pulse, but despite the lyrical self-deprecation, there’s no darkness to speak of. Though “The Valley of Death” starts the record off with a dreary note, the record itself is altogether quite glorious, buzzing and sticky with muck that’s convincingly part saccharine. Throughout Heavy Deavy ’s eight tracks and 50 minutes, it’s apparent that the Warlocks relish being not completely accessible, because that keeps them from being normal: there are familiar elements present in these songs, but largely the band applies these elements at unique moments, creating a backdrop of psychedelic pastiche over which the band applies itself. The result is a musical palimpsest that feels both retrospective and innovative, one that guides you along with emotive strums and sonic sighs -- with feeling. This, it seems, is one of the true essences of music, and is a crucial component to the paradox of the Warlocks: they both play rock and roll and leave rock and roll in the dust.